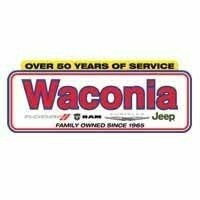 Waconia Dodge Chrysler Jeep Ram is a full-service detail shop, our experienced professionals dedicated to providing you outstanding service. Your satisfaction is our most important concern and we want to earn your business by providing you only the highest quality service. Being a full-service detail shop, we offer a wide range of services to fit your need and budget so please give us a call for more information or to schedule an appointment. We know your vehicle is an important investment and that’s why we use only the finest detailing products, commercial detail equipment and the most advanced techniques to care for your vehicle. Simply taking your vehicle to the car wash does not give it the protection and care that it deserves. Deep Clean All Interior Surfaces, Including Vents, Storage Compartments and Cup Holders. High Foaming Wash & Wax is a specialty wash that washes and waxes your vehicle in one easy application. Deep cleaning foam dissolves and lifts off dirt and road grime while soft gel Wax beads helps to protect your vehicle’s finish. The Wash & Wax formula protects your vehicle’s finish against harsh environmental conditions. Wash & Wax leaves your vehicle with a brilliant shine! Oder Removal, Ozone / Ionization: $45.00, 8 hours of ozonating time. Ozone machine will leave a film in vehicles. Complete Interior detail recommend but not required. Results may vary and are not guaranteed. *All Services are priced on average vehicle condition, additional charges for excessively dirty vehicles billed at $45 per hour. If we foresee any additional charges we will contact you before the detail process begins. *Waconia Auto Detail does not deal any type of Biohazard or Vomit clean up. 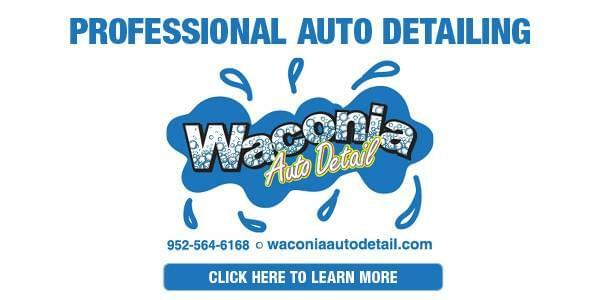 **Waconia Auto Detail is not responsible for any damages that may occur from clean engine or engine compartment. Damage rarely occurs during this process. ***Complete Detail and Complete Interior Details, please have all personal items removed from vehicle, if we have bag up personal item, there may be an additional charge.